In this Jan. 7, 2016 file photo, buildings at St. George's School sit on a hill in Middletown, R.I. Dozens of former students at the school said they were raped or molested by employees or schoolmates over the past four decades. Authorities announced Thursday, June 2, 2016 that a state police investigation into dozens of sexual abuse allegations at St. George's School has concluded with no criminal charges. 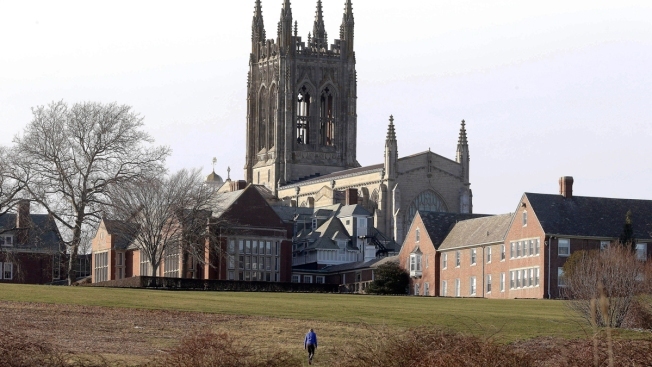 A Rhode Island boarding school rocked by widespread sexual abuse says it has hired a new head of school to succeed its departing leader. St. George's School in Middletown said on Friday that Alexandra Callen will become the first woman to lead the 120-year-old school when she takes over in July. Callen has held leadership positions in public and private schools in Seattle and Massachusetts. Dozens of alumni have said they were abused at St. George's from the 1970s to the 2000s. Eric Peterson has led the school since 2004 and has been criticized by many victims for not responding appropriately to reports of abuse. In a written statement, the chair of the board of trustees says Peterson and his wife, a school employee, will be missed.